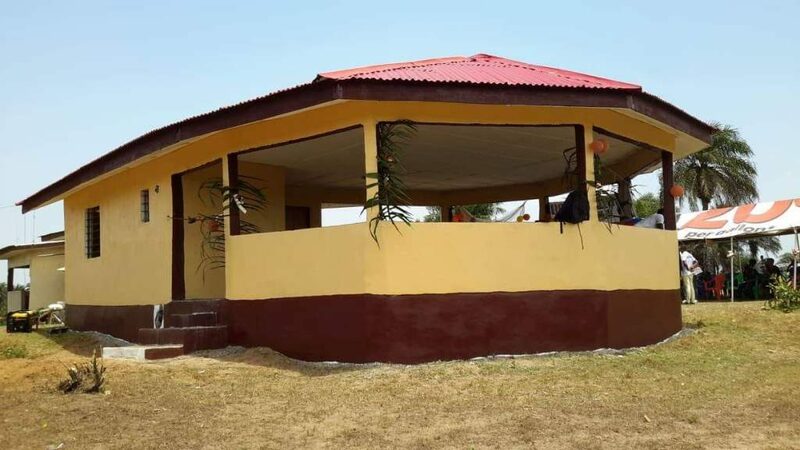 Monrovia – It was a joyous day for scores of senior citizens of the Charles Edward Britt Old Folks Home in Duazon, Margibi County when the group, Friends of Koijee (FOK) dedicated and turned over to them a refurbished multipurpose building. According to the Chairman of FOK, Rannel M. Kanneh, the project is part of the organization’s commitments in rendering basic humanitarian services to the needy including the elderly and under-privileged people across Liberia. “This is our way of giving back to our senior citizens. We are in the vanguard of rendering humanitarian services to the needy. So, when we heard about their plights (old folks), we began mobilizing and we reached out to our sponsors. That’s how we were able to get the funding and other resources to refurbish this building,” Kanneh explained. Performing the dedicatory ceremony, the Chairman of the Coalition for Democratic Change (CDC), Mulbah Morlu, on behalf of the party and first partisan, President George M. Weah, commended the group for the gesture and noted that it is in support of the government’s Pro Poor Agenda for Prosperity and Development. Morlu added that the needs of the citizens are so immense that the government alone ‘cannot do all’ and called on them to extend their activities to other parts of the country and should not be limited to Monrovia. Speaking further, he noted that the initiative also embodies the character and beliefs of their Mayor Jefferson Koijee whom the organization is named in honor and pledged US$1000 towards the group’s next project. “You chose to invest the money in social welfare for one of the most important segments of our society that is often abandoned, and this requires commendation. What you are doing is and exposure of your values, the beliefs and principles to which Mayor Jefferson Koijee has stood up for over the years,” he averred. Also speaking, Madam Celia Coffee Brown, Deputy Managing Director of the National Port Authority hailed FOK for the project. Madam Brown noted that the CDC-led government is a government of the masses and as such the initiative of the group towards the senior citizen comes as no surprise. She made a commitment in helping the group to extend its initiatives to other parts of the country. The Charles Edward Britt Old Folks Home Ministry to the Age is run by the United Methodist Church in Liberia. Speaking at the dedicatory ceremony, the Director of the Home, Rev. Anna S. Kpaan lauded the group for the initiative and noted that the renovation of the structure which was completely damaged brings huge relief to the old people. She said the building, will not only serve as a shelter, but a chapel, meeting ground and place of relaxation. She called on other organizations and citizens to emulate the humanitarian gesture of FOK. According to the Chairman, Rannel M. Kanneh of the Friends of Koijee, the organization was founded on November 16, 2018 by a group of young Liberians who have been inspired by the Mayor of Monrovia, Jefferson Tamba Koijee to render basic humanitarian services to underprivileged Liberians including the elderly. Kanneh put the cost of the project at US$15,000 and disclosed that his organization has planned to construct modern water and latrine facilities for residents of Slipway, Buzzi Quarter, Soniwein, Jallah Town and Gibraltar in Central Monrovia.